On Saturday morning I was on the coach early to get to Brighton in time to hear Dzigar Kongtrul Rinpoche teach on Santideva’s 9th chapter. It was just after 6am. I pulled out my new dharma book The 6 Perfections by Dale Wright (an excellent book) and tried to read the section on tolerance. It was early and my eyes hadn’t woken up. Blurry font. Unfocused mind. Easily distracted. About 10 minutes into the journey, we were at the last main coach stop before leaving Oxford for London. A young woman got on. She expected the driver to accept card payments – only had £5 in cash. The nearest ATM was a long walk away. I asked if she was going to Victoria in which case she could withdraw £10 when we got there. We sat down and out of nowhere out of my mouth said the words: Keep the money. She wanted to repay me. All I thought was, I don’t own the money, the Government does – all I’m doing is moving it around. The question of ownership shifted in a big way after reading a short excerpt by Daniel Dennett. It was from a philosophy text reader when I belatedly started university in my mid‑30s. My take on Daniel Dennett’s view on ownership is this: Your possessions stretch as far your mind. So, if you’re at a friend’s place and are handed a plate is the plate yours or your friend’s? The pens at work where you sit each day, are they yours? Well, they’re your employer’s. So when I sat down on the bus and thought, It’s not my money, it’s the Government’s, that’s where I was coming from. Then I recalled the chain of events leading up to the Saturday morning moment. On Thursday evening my boss and I were catching up for a drink at the pub to meet a former colleague. She lent me £10 but then got a 2 for 1 deal and shouted me the cocktail. The next day before going home my boss said, About that £10, don’t worry about it. You buy flowers each week for the office, use the £10 for the next few weeks’ bunches. The coach arrived at Victoria and the young woman said she really wanted to repay me. I replied, I’m Buddhist and was reading a book on generosity. If I don’t practice it, well, what’s the point? To which she replied, The reason I’m in London is to complete a 25km charity run for a pre-school in South Africa. 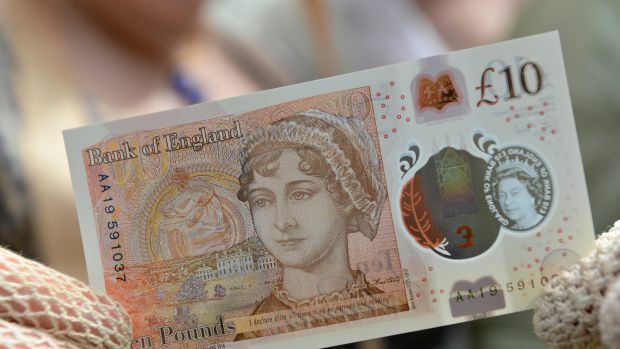 The single £10 note was lent, given, lent, given, given and given. About the author Wendy Nash. Wendy is Australian and has been living in Oxford, UK, for the past 3 years. She has been following Buddhism since 2003, took refuge with the Buddha in 2008 and in 2014 realised that although she had everything she wanted (good relationships, health and job) she was still unhappy – that’s when her practice really came into its own. She has been dedicated to the White Tara group in Oxford since 2014. She thinks that life is better with a vase of flowers nearby and mugs of teapot tea. Logged in as Albert. Log out?